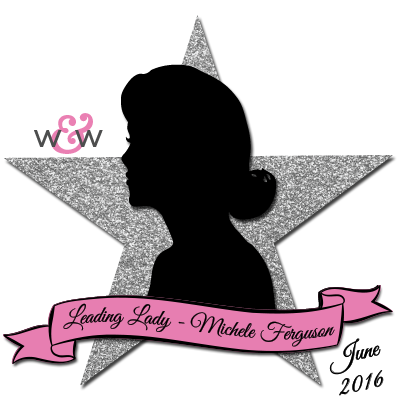 It's an exciting day as we can introduce our June Leading Lady! I am so happy to bring you Michele Ferguson! Michele is a true sweetheart and incredibly talented with a clean, beautifully elegant aesthetic (I am a fellow huge fan of embossing folders). In fact she was our very first Gossip Queen and her winning card can be found HERE. We also spotlighted her work HERE and HERE. She's been on my list for future Leading Ladies for a while now and am delighted she is this month's Leading Lady. Over the next few Saturdays in Michele will be leading us on a journey of her own design and imagining. Make sure to visit her blog, I Card Everyone, to see more from her and for a chance to win a giveaway! Please give Michele a big round of applause to welcome her as she steps onto the stage for her first performance as our June Leading Lady! Hi Winnie & Walter fans! I'm thrilled beyond words to be playing cards with my newest W&W products - to be called their 'leading lady' is [oh my word!] such an honor! I wanted to make a few 'frame-able' cards of the garden variety today, water-colored using my favorite heat embossed 'canvas!' I'll be spot-lighting In Bloom: Anna's Flora, and a few supporting W&W products. When I showed my husband, Tom, my cards for this first week he said "wow... they seem much more colorful than you usually make!" I think that was a compliment =] I'll let you be the judge! stamped onto a bit of vellum, or snippet of cardstock. Another little slip of vellum for the gold embossed sentiment. Distress inks again for the coloring. the largest cut from linen vellum. Frame it you ask? Here is how I've added a little beribboned clip to a shadow-box frame for my oldest granddaughter, Anna [appropriate, I think] who is redecorating her room. Seems gray is one of her favorite colors - I wonder where she gets that?! I do hope that I've inspired you all to get out your own wonderful Winnie & Walter supplies to make a little frame-able card! Thanks so much for stopping by today! A million and one thanks to Shay for having me! See you next week! Yay for Michele! She's a FABulous designer and friend. Love all of her gorgeous cards! Over the moon ecstatic that uber-talened, ultra sweet Michele is this month's Leading Lady! She is a designer extraordinaire, especially with W&W products, which she made abundantly evident here! An array of gorgeous! Her magic with the floral images...swooning! WOW! Michelle is so creative and I love her cards today. Can't wait to see what she does each week! Gorgeous cards! 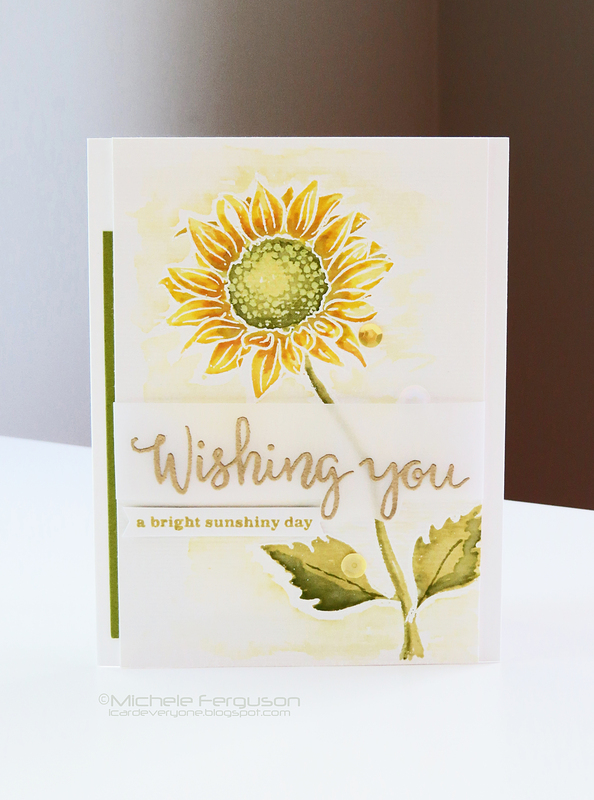 Love that sunflower! Gorgeous! 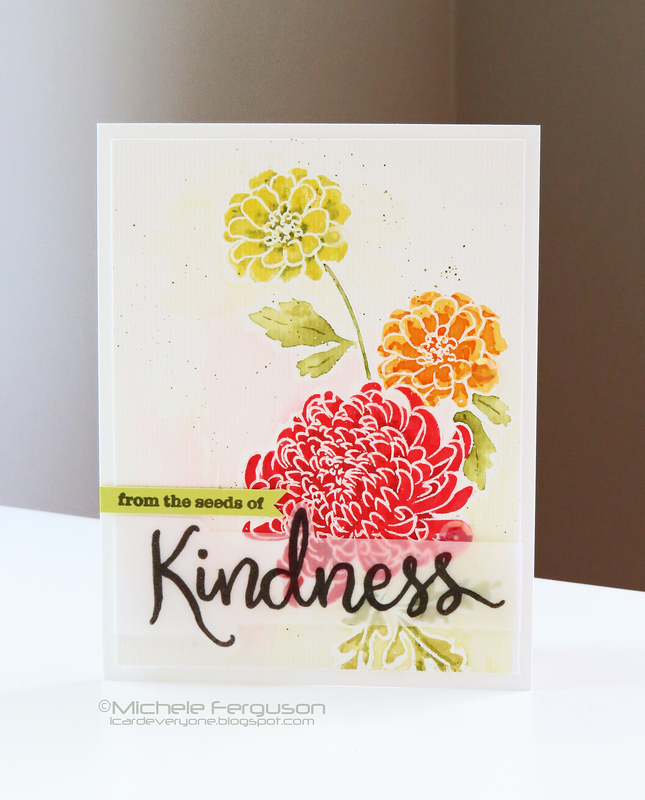 Michele's watercoloring really highlights the florals in this set beautifully! Michele is a great choice for Leading Lady. All her cards are beautiful. Love all the watercoloring and the gorgeous flowers. Michele makes stunningly beautiful cards. I love her coloring in the bright colors and CAS designs. The framed piece for her granddaughter is a true treasure. Thanks for showcasing her work. I'm just seeing her work for the first time and am so wowed by it. Beautiful cards. I love your style! I pinned the cards to my W&W board. Beautiful card Michele, love them all but have to say my favourite is the framed one. So elegant. Beautiful cards, Michele! I just LOVE all these gorgeous stamps and bright colors! Wow! So happy to see Michele as this month's leading lady! And what a wonderful start, these floral cards are just GORGEOUS!!! WOW Michele... But first of all congratulations for your so well deserved spot as June Leading Lady! And now I can repeat: WOW Michele! What a fabulous set of cards you made, they are all very frame-able for sure. Your granddaughter will certainly love the shadow-box frame. Looking forward to see what you will create for the next weeks. 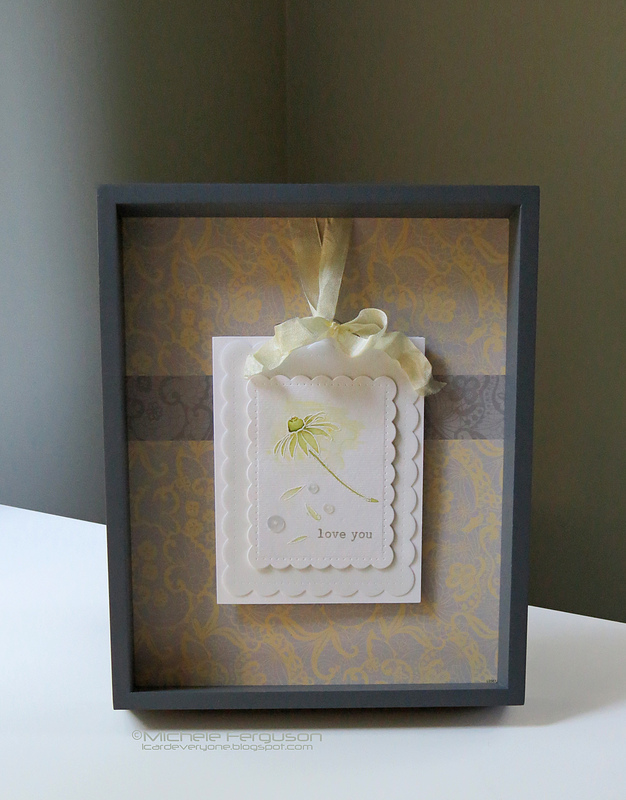 Michele makes a fabulous leading lady, her cards are gorgeous and showcase you fantastic products to their best. Couldn't have picked a more talented, generous and kind Leading Lady as Michele - congrats to her and can't wait to see more of her lovely W&W creations! Wow, these are gorgeous! So soft and beautiful on each project. Michelle, these are absolutely delightful projects!!! So happy to see you as leading lady this month! Congrats!!! Michele has done an AMAZING job showcasing all of the Winnie & Walter goodies that she chose for her cards! Every one of them are just beautiful, and she is so deserving of the honor of 'Leading Lady'! Looking forward to seeing more! So many beautiful cards and love all the soft water colouring. And the framing idea is gorgeous, so very stylish and will look amazing on the wall. So wonderful to know there are more 'Gray Lovers' out there!!! Yeah Michele!! I LOVE your pretty cards you created!! The framed one for your grand daughter is STUNNING!!! Such stunning, stunning creations!! And I LOVE that the last card has been framed for your granddaughter!! What a treasure! Gorgeous florals! Love the painting! Wow cards Michelle, it is always a treat top see Michelle's beautiful creations. Michele is the perfect pick for your leading lady!! GORGEOUS summery cards!! Anna is a lucky little lady to receive her framed work of art!! Great choice Shay to chose Michele as your Leading Lady! All three of her dads today are stunning! I am so excited to see Michele here as leading lady for June! What a fun month this will be, seeing all of her creations. 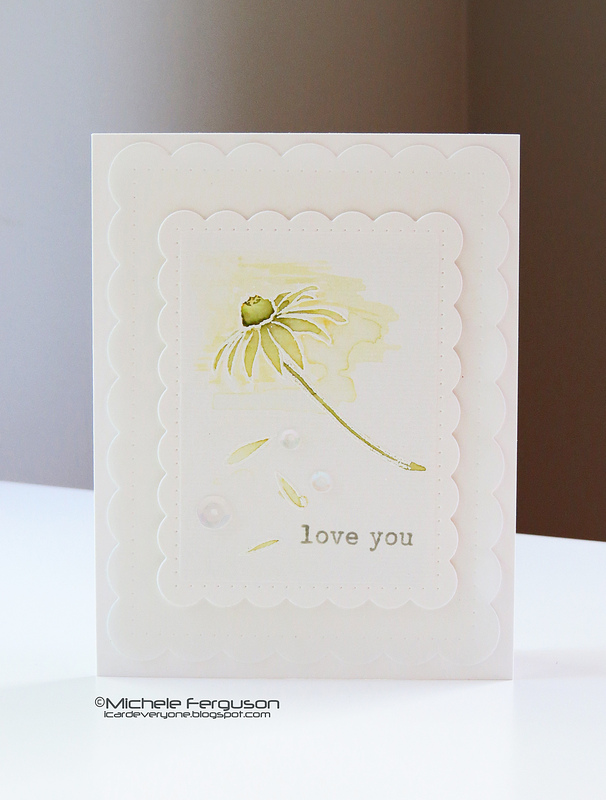 I am loving all the watery colors on these cards, especially the first one with the yellow, orange and red blooms. Well done, Michele! Beautiful watercolor floral cards, Michele! The framed one is surely a very special gift! Michele, these are beyond words AMAZING!!! Your grand-daughter is going to love that last one. I love them all. Congratulations Michele! You are certainly a leading lady!! Gorgeous cards! Love the softness of the watercolouring. Wow wow wow these are just stunning Michele !! !works I are indeed and can't wait to see what you will come up with next ! Absolutely beautiful colors and creations. WOW.... those are gorgeous, stunning and elegant cards, Michele! Looking forward for more inspirations from you this month! You are SO LUCKY to have Michele as your leading lady - she is awesome and incredible - each of these cards are just so beautiful and amazingly done!! CONGRATULATIONS on being Leading Lady Michele!!! I can see why Shay chose you, LOVE your designs and DELIGHTFUL flowers!! !